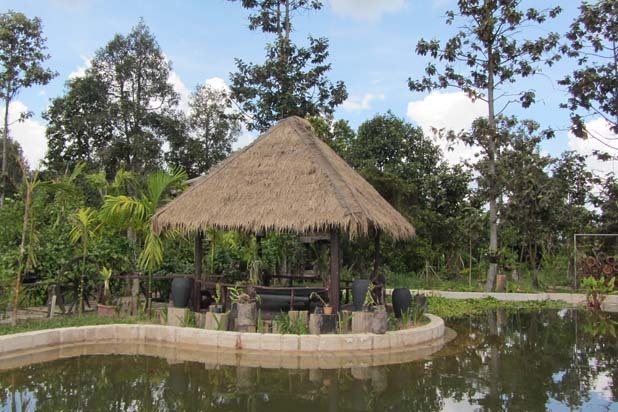 Deeply in the jungle, a visit of Kbal Spean is highly recommended. 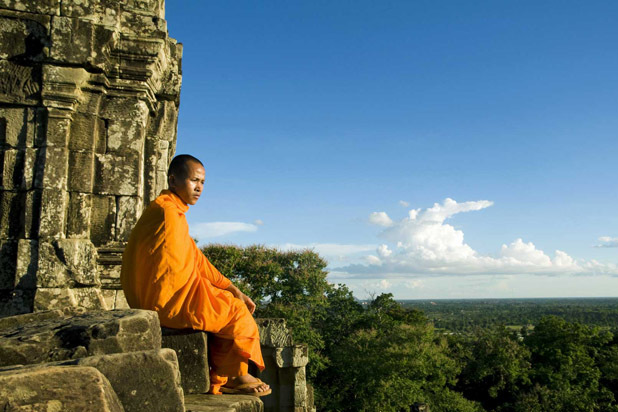 The only way to reach the top is to hike on a trail,your efforts will be rewarded with the sight of riverbed sculptures, thousands of lingas and a peaceful forest setting with waterfall. 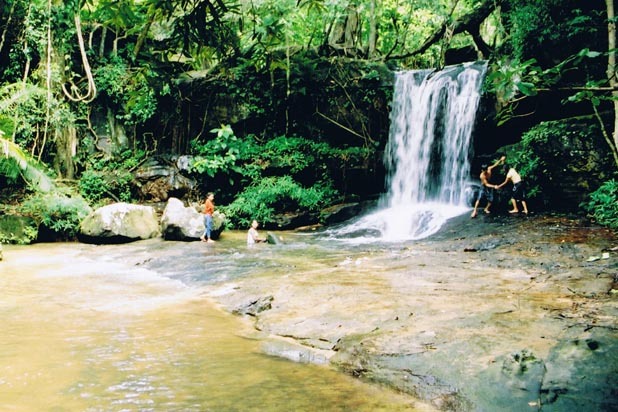 Kbal Spean is located 50 kms northeast of Siem Reap and a direct trip by car takes about an hour. 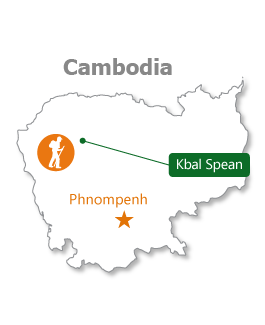 A visit to Kban Spean can be combined with a visit to the temple of Banteay Srei -15 kms directly south of the road,and 25 km from the main Angkorian temples. 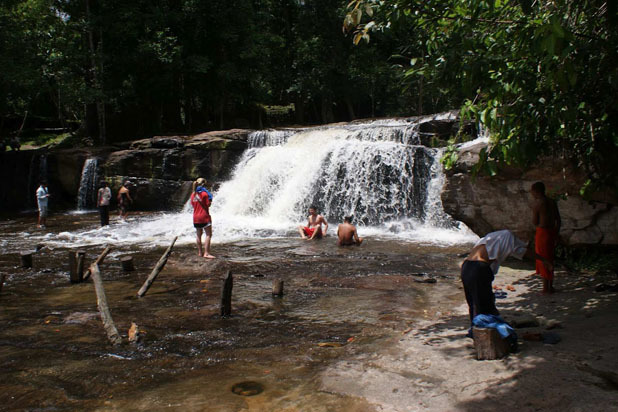 The best time to visit is from May to December when the river and the waterfall have a good flow. 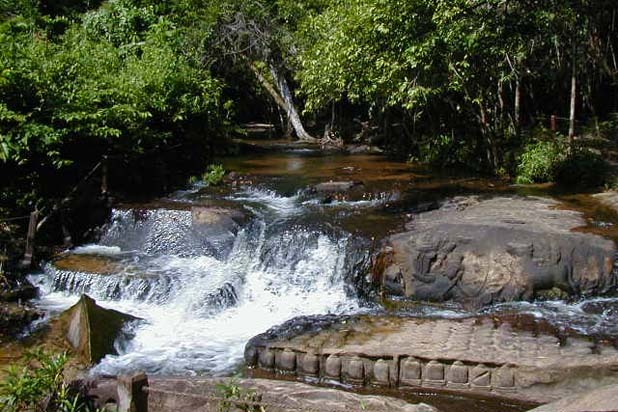 Kbal Spean is a tributary of Siem Reap River. 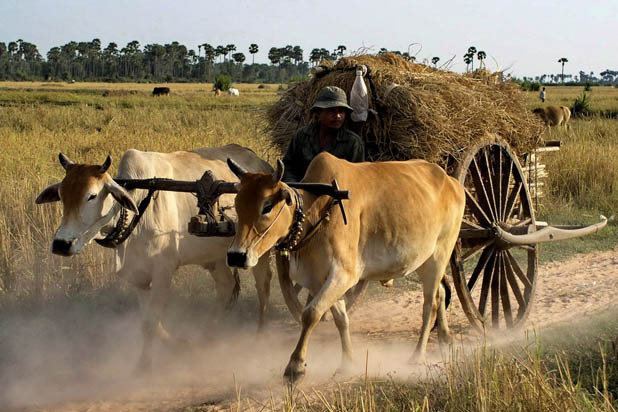 There are amazing sculptures of Hindu gods and creatures on the river bed. 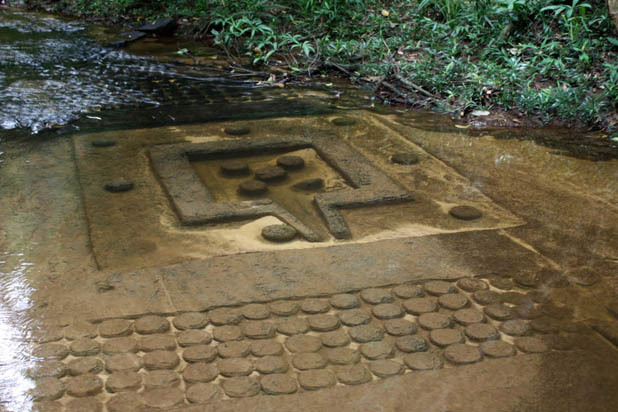 The sculptures dating from the eleventh to the thirteenth century and are mainly lingas, thus the name “river of a thousand lingas”.The 45 minute hike through the forest leading up to the river is fascinating. 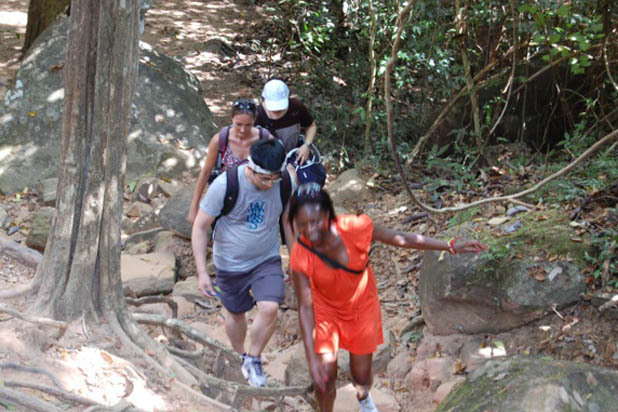 The route is mostly flat, with a lot of tree roots sticking out, but some areas need climbing over large rocks, sturdy hiking sandal or boot is needed. 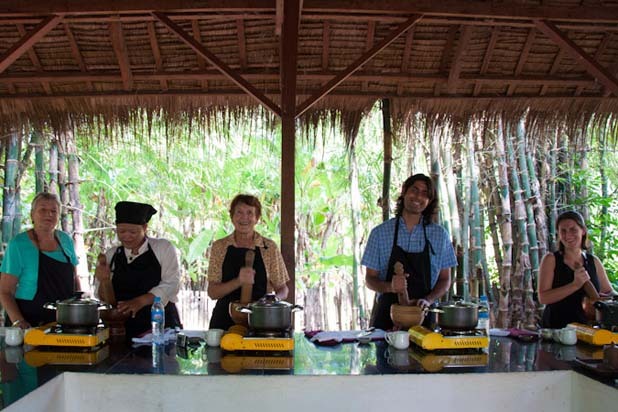 If looking for an authentic Cambodian experience, then Siem Reap Homestay provides an excellent opportunity for cross cultural exchange with local people. 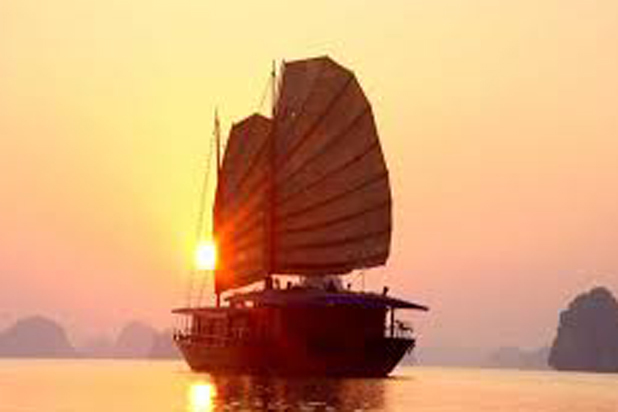 After the Angkor Wat temples, next stop should be Tonle Sap Lake - a lovely peaceful place . 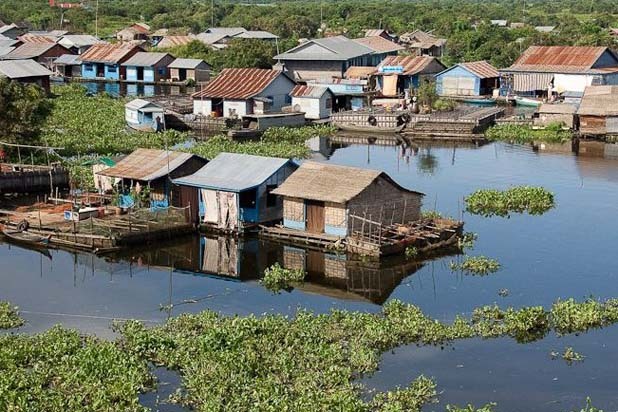 You will get a glimpse of a floating Cambodian village and see how simple but happy Khmer life is. 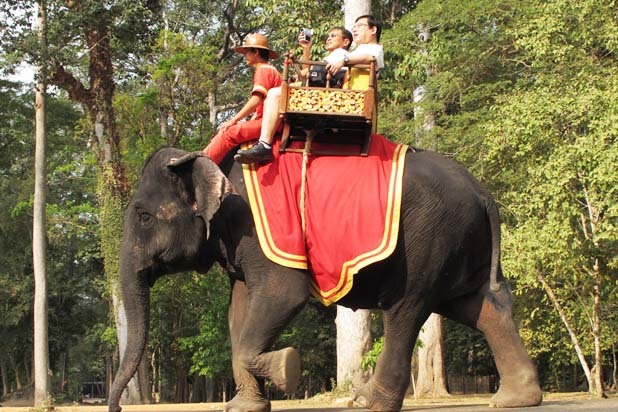 Travel the local way – with a tuktuk, it is easy, funny and comfortable too. 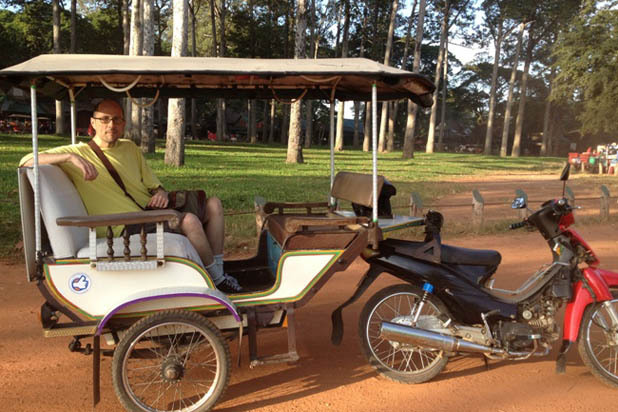 A tuk tuk is the best transfer method to explore the enormous Angkor temple complex.